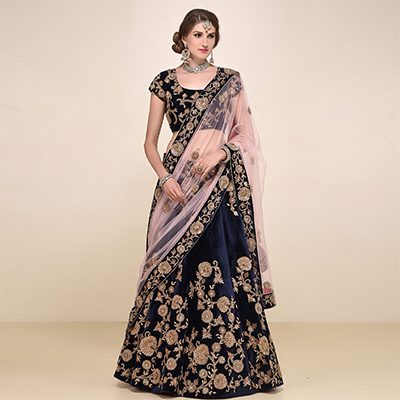 Get compliments from everyone when you appear in this navy blue lehenga choli. 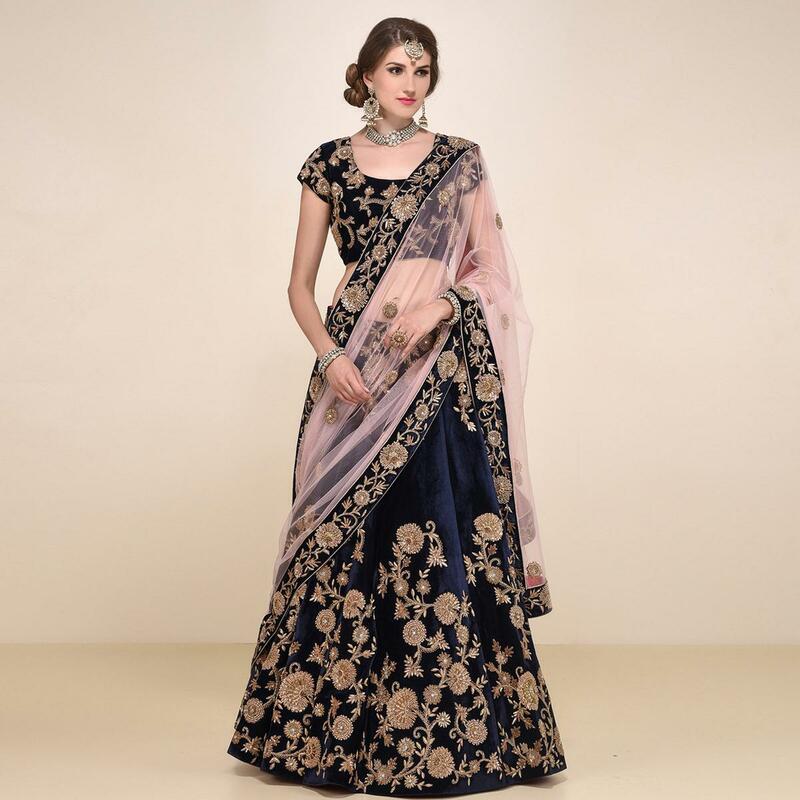 This semi stitched lehenga choli has been designed using velvet fabric and made upscale with its floral design heavy embroidery work as shown. Available with net dupatta in pink color. Suitable to wear for wedding functions engagement ceremony and special occasions. Team this outfit with matching ethnic accessories to make your look more attractive. Buy this latest fashioned lehenga choli now.